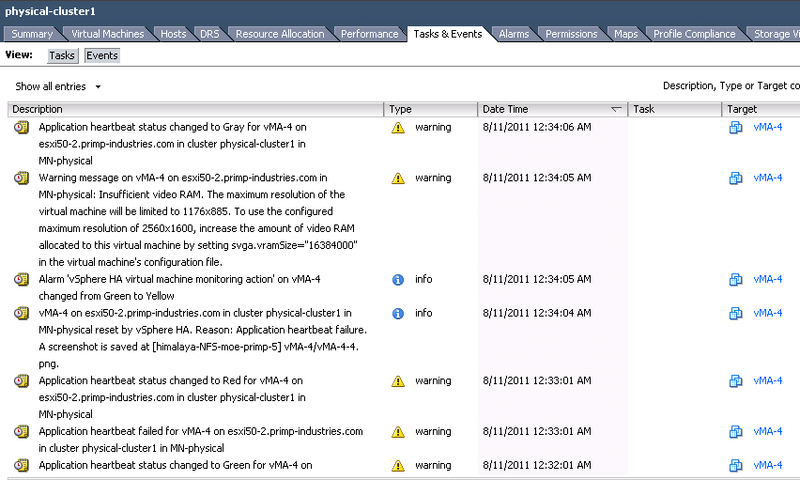 Application Awareness HA is not a new feature in vSphere 5, it has actually has been around since vSphere 4.1. 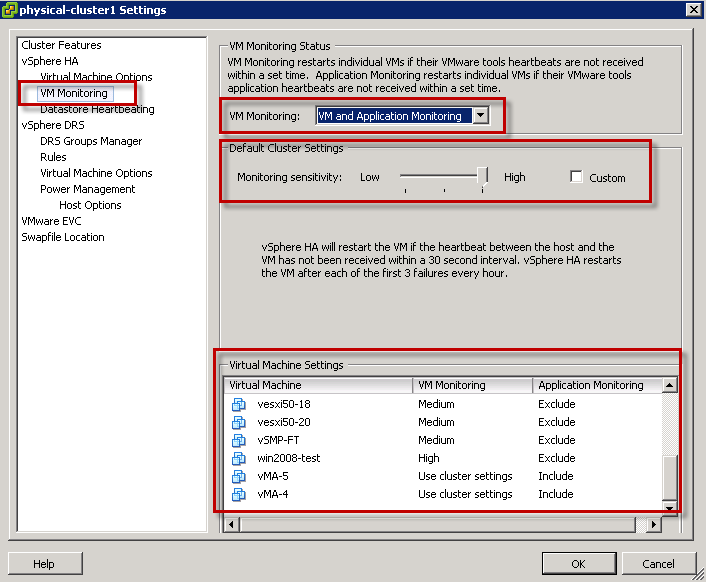 With this feature, vSphere HA can monitor heartbeats generated from an application monitor within the guestOS and reboot the virtual machine. 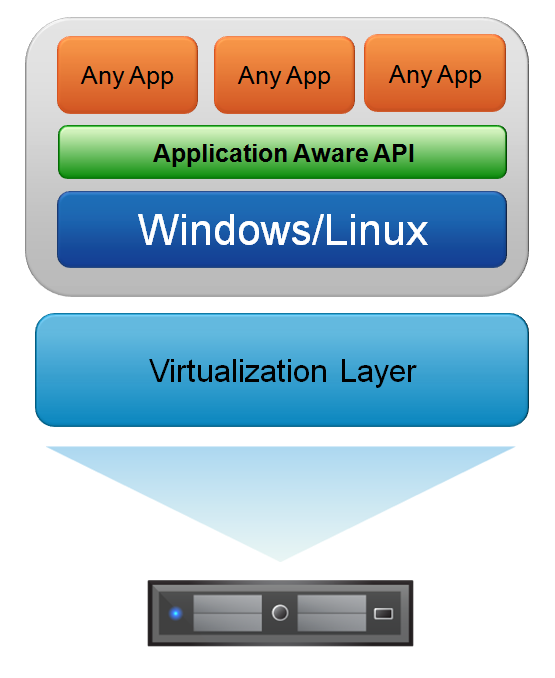 What is actually new in vSphere 5 is the availability of the Application Awareness API for anyone to consume and integrate into their own application and/or script. Prior to this, the API was only exposed to ISV and 3rd party vendors with solutions such as Symantec's ApplicationHA and Neverfail's vAppHA. The Application Awareness API (will be shorthanded as AAA, going forward) is supported in both Linux and Windows (32/64bit) and can be accessed by installing a package within the guestOS. This package includes the necessary AAA libraries to create your own program/scripts in C, C++, Java and Perl. In addition, the package also includes a pre-compiled binary (vmware-appmonitor) that implements all the AAA methods that can easily be called from within a script or program. AAA uses the VMware Tools as communication channel to the ESX(i) host and you will need to ensure VMware Tools is installed and running. Since the communication is between VMware Tools and the ESX(i) host, there is no reliance on a TCP/IP network for this communication channel. 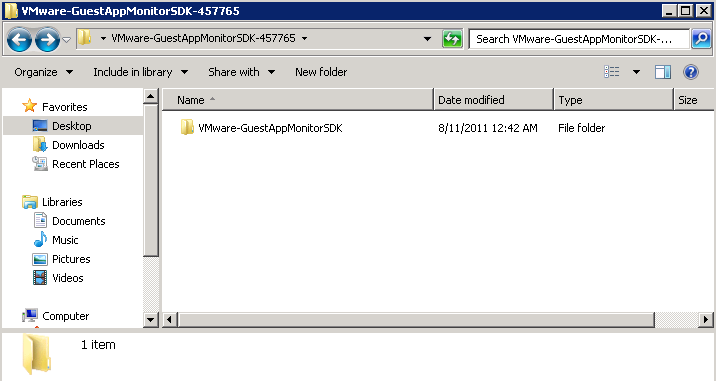 UPDATE: You can download GuestAppMonitor SDK here. green = Virtual machine infrastructure acknowledges that the application is being monitored. To start using AAA functionality, you will first need to have a vSphere HA enabled cluster and enable the "VM and Application Monitoring" under VM Monitoring. You have the ability to configure the sensitivity of AAA from Low, Medium and High which correlates to the heartbeat interval and frequency of virtual machine reboots. You also have the option of configuring your own custom policy. Lastly, you can choose which virtual machines will be included in VM Monitoring and/or Application Monitoring. Note: It is important to note, that HA will expect an application heartbeat to be generated every 30secs. If HA fails to receive a heartbeat within 30secs, it will transition the appHeartbeatStatus state from green to red. Depending on the configured sensitivity policy, once the heartbeat interval has been violated, HA will then restart the virtual machine. For example, if you have the sensitivity configured to medium and a heartbeat was not received within 30secs, it will change to a red state. If HA still has not received a heartbeat within 60secs of that time, then it will reboot the virtual machine. Step 3 - You can now run the "sample" application which runs in a continuous loop and automatically enables AAA within the virtual machine and sends heartbeats to ESX(i) host. You can press control+C which then brings up three options: stop (s), disable (d), continue (c). The last two options should be pretty straight forward, but if you decide to stop the heartbeating and you don't resume, you will see HA restart the virtual machine based on your cluster configuration. For those of you who are not into programming languages such as C,C++ and Java, here is an example using Perl. 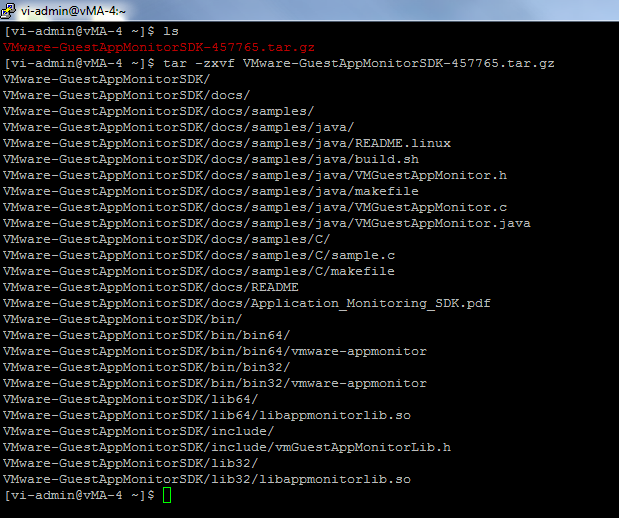 In the example, the script simulates the monitoring of an application by checking whether or not a file exists. The script starts off by creating a file that will monitored and then loops for 5 minutes and checks for the existence of the file. Once the 5 minutes are up, the script then disables Application monitoring and exits. Note: You will need to set the two variables at the top which define the path to the shared library and the vmware-appmonitor binary. So far we have demonstrated on how to setup AAA within the guestOS and provided a variety of programming/scripting interfaces such as C,C++, Java and Perl to integrate with your own application/script. Now what if we wanted to extract the heartbeat status for all virtual machines that have AAA implemented going through vCenter? 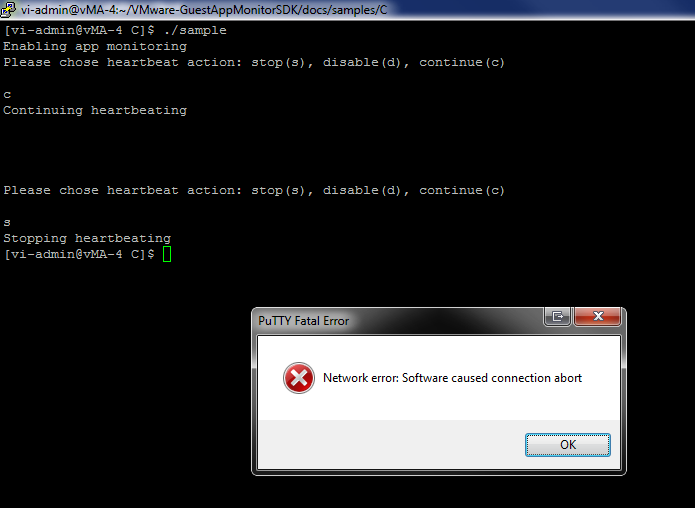 You can easily do so by using the vSphere API and querying the appHeartbeatStatus property of your virtual machine. I wrote a very simple vSphere SDK for Perl script getVMAppStatus.pl that allows you to query a virtual machine connecting to either vCenter or directly to an ESX(i) host to extract the heartbeat status. Download the getVMAppStatus.pl script here. The script can return three different status: gray, green or red and the definition for each is defined above. Now before you jump right in and start leveraging this awesome API in either a custom application or script, you need to understand your application and various ways on detecting that it has failed and when you would like vSphere HA to reboot the virtual machine. Simply checking whether the process is running may or may not be enough. To get more details on some of the best practices around using the Application Awareness API, I would highly recommend you check out Tom Stephens upcoming VMworld 2011 presentation TEX1928 Implementing Application Awareness in the Web Client and The Uptime Blog for more details about implementing AAA . For now, if you would like to learn more about Application Awareness API, check out last year's VMworld presentation. didnt find link for linux binary. The Linux installer is there now on the download page. Its so good think. I like much more and like evrone. I think it would be better if you add a snippets about the program. @Priya Rani Thanks, glad you enjoyed it! One of the best articles i have read.It could be a little more better but still i Like your work. Thanks again for the great quality web blog posts that you provide. You’re writing skills are amazing and I’ll be coming back for updates.